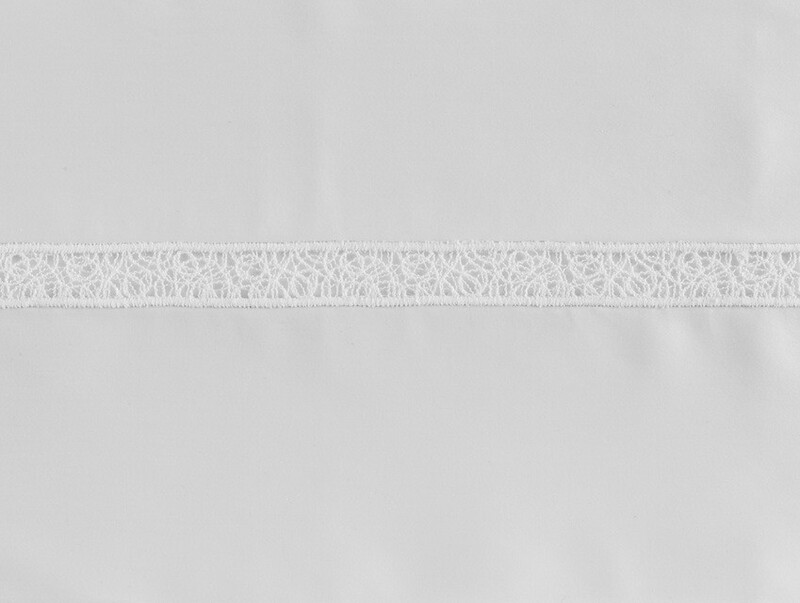 TRINA LACE by Sferra - this is not your grandmother's lace bedding! A modern lace that looks like spun sugar is inserted in fine GIZA 45 Italian sateen bedding for a look that is contemporary and chic. Giza 45 Trina Queen Flat Sheet 96"x114"
Giza 45 Trina Queen Duvet Cover 88"x92"
Giza 45 Trina King Duvet Cover 106"x92"
Giza 45 Trina King Sham 21"x36"
Giza 45 Trina Boudoir Sham 12"x16"